In life all of us have to make choices. All of us are expected to choose what is good for us and what we can do. And this has nothing to do with that the fact that the person is a man or a woman. Its not that only women have to make choices and men can have it all, men have to make choices and compromises too. But more often than not a woman is expected to make choices, and let the man have his way. People expect women to be born with that compromising attitude and if she does not have it in her, then she is not a good lady. She is considered selfish and arrogant. Who decides that women have to make compromises? If society's rule book dictates these terms then I am proud to not adhere to it and stand out. Why are we all letting go of what we want to do and following something that does not make sense in the first place. Isn't that the biggest form of compromise that we all are making. And that too by lying to ourselves. It is definitely not worth it. Women should be adjusting, they should be accommodating. Women should put their partners choices ahead of them and compromise on their own choices. A woman should accept whatever is put in front of her without complaining. In her late teens, she is expected to put her studies and ambitions aside and learn cooking to impress her future husband. Once married, she should give up all her desires and spend the rest of her life satiating her husband. When she has her kids, she has to leave everything and cater to their every need, without flinching. Wow, these are exactly the things that I cannot and do not want to do. I myself have been a victim of the society's expectations where I have been asked to choose between this or that. And I'm proud of the fact that I did not bow down to any of that have stood strong and tall. I'm sharing four most important stories of my life here. This is a very personal battle and something that I am very proud about. I had just gotten out of a relationship and I was feeling really low. I put all the focus and extra time I had into work and excelled at it. I reached the peak of my career and people wanted me to work for them at any cost. I had become almost indispensable and they could not do without me. I was enjoying my success and was absolutely in love with my work. And then after a year, love found me again. As much as I wanted to embrace it, people warned me against it. They told me that a man might hold me back from my work. I found that utterly unreasonable, yet, they wouldn't stop. Someone told me that being in a relationship right now would mean a distraction and that I cannot focus enough on my work. They told me that I will lose out on all my success and it would be a let down for me. But I was not the one to listen to them. I went ahead with what my heart told me. I was madly in love with the man, but that did not mean that I didn't love my work anymore. I chose love and work and balanced it beautifully. Of course there were time constraints, but what is life without multitasking? All it needs is a little extra effort and you can achieve it all. Today I'm doing extremely well at work and am happily married to the same man I fell in love with. Who says a compromise is needed in love or life? If you have the determination to do something, you can have it all. 2. Regular job or Writing. I started taking writing seriously about two years ago. Until then the writing was only for me and it was an out flow for my thoughts. But then it started going really well and I started writing fiction pieces that people loved. The response I received for my stories were very encouraging and then writing became a parallel career for me. When people found out that this is not the only thing I do, but am in a regular job as well, they asked me to quit either one of it. A woman should not be over ambitious they said, I laughed at them. They told me that I cannot follow two passions at the same time. Job or writing was the choice in front of me. Without thinking twice, I knew that I was not the one to succumb to this 'or'. I wanted to do both. I finish my regular 10 to 6 job and after that take time out for my writing. I do not miss a day of both. It is my dedication to both my passions that has kept me going. I have no intention of proving it to the world that I can do both. I just want to do it for myself. Today my own fiction book is in progress and so is my regular job. And both of them are in a very good place. Had I chosen to kneel down the 'or', then there is no way I would have been at peace with myself. Choosing the 'and' here has giving me so much of happiness and contentment that I am so proud of the choice that I did not make. My mother told me just one thing on my wedding day. To continue to do what I have to do and to never compromise on my happiness. She has been a working lady throughout her life and I look up to her. It wasn't my parents who had a problem with my job and creativity, it was others. They told me to quit my work and settle into holy matrimony. Work or marriage, I was asked to choose. They told me that I cannot manage both and would fail at being a good wife. I smiled and told them that I know what I was doing. Quitting my job would be last thing that I do in my life. It was difficult at first, to manage the household chores and a regular job. But with a little extra effort it can be achieved easily. I found a neat balance between my professional and personal work, and yet people would not stop talking. When I chose to write along with my work, they told me that I cannot do both and choose one of it. When I wanted to read, paint and dance, they told me that I should choose cooking and just do that because I was a woman and I am not allowed to be the master of all. It was the most ridiculous thing that I had ever heard. But then again, some people love to abide by the society rule book. Good for them. But I was not born to make choices, I was born to do whatever I felt. And hence, here I am today. I fell with love with a man who belonged to an orthodox Brahmin family. Nobody from his family opposed the fact that I was a non-Brahmin and a meat lover. But I had to choose between my own beliefs of being a modern and independent girl or to embrace their traditional customs. There were people who went to the extent of telling that I would not be able to fit into the family, because I was way too modern. Yes, modern I am and I am anything but religious. I know there is a God and that is all there is to it. I do not chant mantras or slogans nor do I visit temples. That does not mean that I'm an atheist and am hell bent upon embracing blasphemy. I respect the traditions of my in-laws and take part in it wholeheartedly. And the same time holding on to my beliefs and modernity. Today I love my kanjeevaram saree as much as I love my skinny jeans. I can carry off a salwar kameez just like the way I carry off hot pants. I chose to be traditional and modern. Why do I have to stick to a modern outlook and shun the traditions? Or why do I have to accept all the traditions and let go off my beliefs? I wanted to do both and have so far managed to go a very good job at it. This does not mean that I'm that cliched girl who is traditional with a modern outlook. I am that girl who is traditional and modern at the same time. I have my beliefs, my modern thoughts, my faith and my mind at the right place. Having to choose between simple pleasures of life is a punishment for anyone. And more so if you are constantly expected to choose just because you are a woman, then it is something that all of us have to fight for. 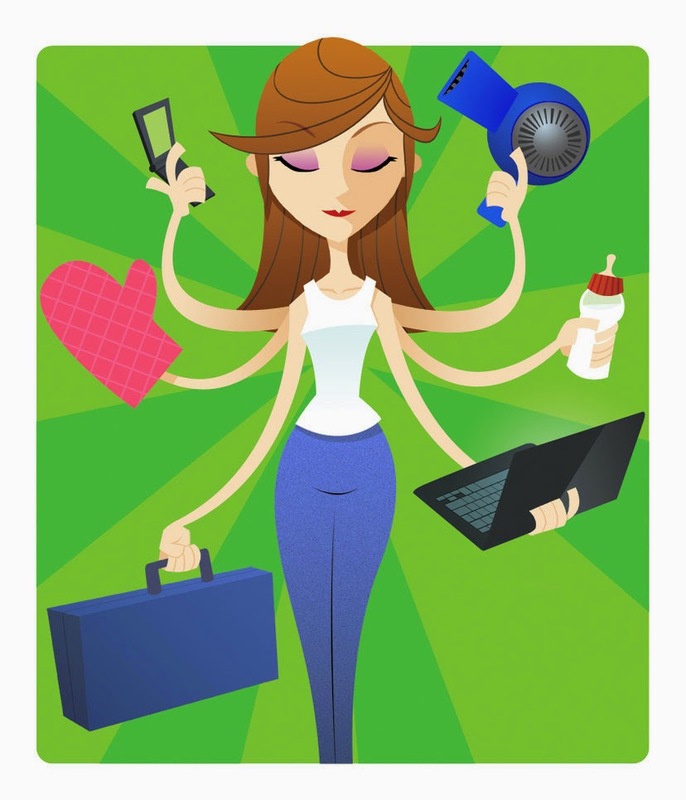 Why can't a woman multitask and have all that she wants? Just because she is good at one thing doesn't mean that that is all she is supposed to do. She is not a door mat that people use to walk around. She is the lady of a house and she has as much ambitions as anybody else. I refuse to bow down to the conditions laid in front of me. I refuse to cave in to the hypocrisies of society. I refuse to abide by the nonsensical society rule book. I am my sole owner and I know what I want from life. And I shall not rest until I achieve what I want to. All the 'OR's in my way will be turned into 'AND's and I shall march ahead with my head held high. And I stand tall and proud! Liked the view points again. Simple, do what you want! I'm glad you do too! Believe me, a lot of people tell me to not do that. Love never asks you to choose, it's always the others who do. My mom had to choose between 2 things a lot and hence she ingrained in me that I should never have to choose between 2 things when I could do both and especially when I wanted to do both. Her pain and lessons became the stepping stones of my life. You go girl! There need not be compromises when you can have the best of both worlds. You are an inspiration for all the women out there, including me :) Hugs! Good one, Soumya. I faced a lot of challenges when I started to work after baby. And all the challenges were verbal, coming from people who have nothing to do with my life. Only the outsiders are known for throwing challenges your way. The best part is there is absolutely no need to prove yourself to them. I liked the way you have shaped your life and career.To hold on to one's beliefs and yet be gentle with those who matter most is no easy job but is no reason to compromise. Glad your fiction book is on the anvil. See people are there to do the talking. We know our potential and stretching your efforts anything is posible. Hats off to you lady for this balance.